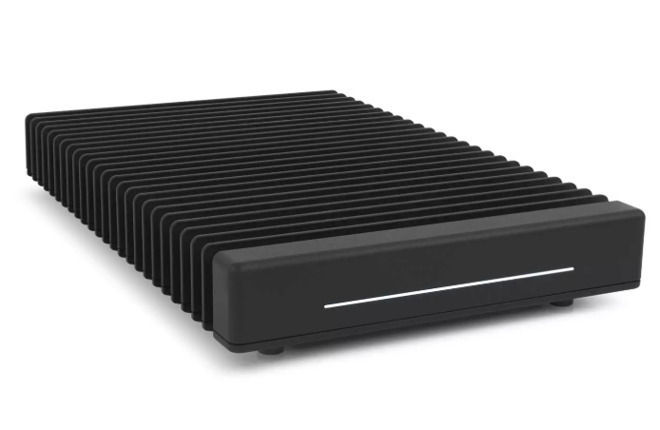 InXtron is described as a designer and producer of Thunderbolt and USB external storage enclosures, which includes docks, eGPU enclousres, PCI expansion boxes, and digital signage. The company is largely based in Taiwan, which is the base for its engineering, supply chain, warehousing, marketing, sales, and support teams. The purchase by OWC, confirmed on Tuesday, follows other recent purchases in similar fields. In January it bought case and accessory producer Akitio, and has also recently expanded its European presence by acquiring the Belgium-based Trinity Distribution. OWC does already offer its own hardware products, including Thunderbolt 3 Docks, with the purchase of both Akitio and InXtron likely to enhance its own-brand offerings as well as expanding the overall product range the company produces. "The acquisitions of Akitio and now InXtron will be strong contributors to our overall growth and capabilities as an organization," said OWC founder and CEO Larry O'Connor. Along with expanding its product lines and growing its presence in Asia, O'Connor suggests "These moves bolster our resources and knowledge in areas like Cloud technology, new storage software development and new integrated hardware and software approaches for truly next generation workflow solutions." At the same time as announcing the purchase, OWC revealed it will be expanding its Woodstock, Illinois headquarters and distribution center, with ground expected to be broken on a 20,000 square foot addition in the spring. Troubling sign that OWC is buying out all of these "competitors" and product developers. Prices on these products will continue to climb now that they are part of the OWC portfolio. They sell some decent products, but OWC has been deceptive with RAM sales in the past (labeling and selling used modules as NEW) and have a hard time trusting them for large purchases because of that. If they were just honest about their practices, would be easier to trust them (even at their inflated prices).